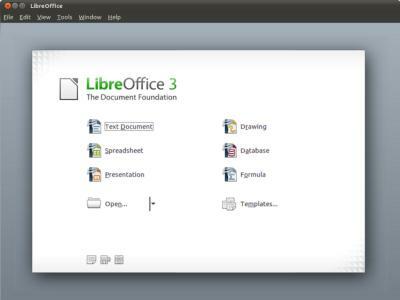 LibreOffice 5 on DVD is a comprehensive, professional-quality productivity office suite. It is compatible with other major office suites, including Microsoft Office and available on a variety of platforms such as Microsoft Windows and Linux. Writer: The word processor inside LibreOffice. Calc: The included spreadsheet program, similar to Microsoft Excel or Lotus 1-2-3. It has a number of unique features, including a system which automatically defines series of graphs, based on information available to the user. Impress: The presentation program in the suite, resembling Microsoft Powerpoint. Draw: A vector graphics editor and diagramming tool similar to Microsoft Visio. Base: The software's database management program, similar to Microsoft Access. You can use imported and linked tables and queries from MySQL, PostgreSQL or Microsoft Access and many other data sources, or design your own with Base, to build powerful front-ends with sophisticated forms, reports and views. Support is built-in or easily addable for a very wide range of database products, notably the standardly-provided HSQL, MySQL, Adabas D, Microsoft Access and PostgreSQL. Math: An application designed for creating and editing mathematical formulae. The application uses a variant of XML for creating formulas, as defined in the OpenDocument specification. These formulas can be incorporated into other documents in the LibreOffice suite, such as those created by Writer or Calc, by embedding the formulas into the document.